Country living at its best! Must see - like new fantastically large 5 bedroom, 3 bathroom home on 5 wooded acres. Easy commute to Gainesville. 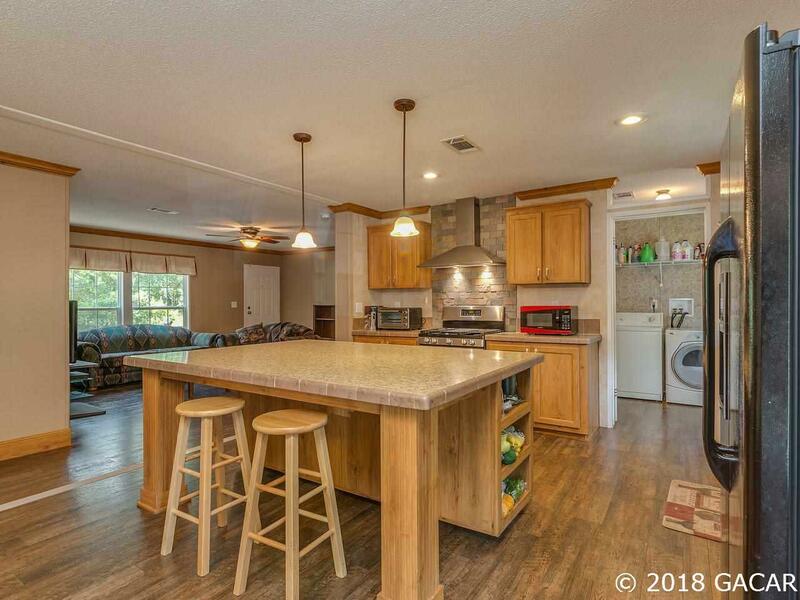 Quality custom Live Oak manufactured home. 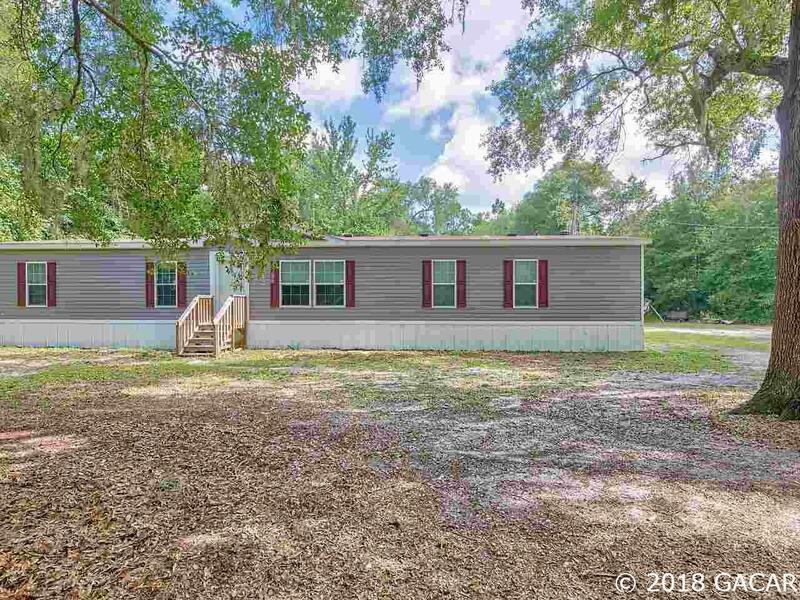 Split plan with four bedrooms and two baths (one jack-n-jill) on one side. Formal living room opens into the chef's kitchen complete with gas range, huge island, cabinets galore, and laundry room with pantry. Room for a large dining room table. Wonderful family room with wood burning fire place. Master suite includes space for a sitting area or desk, walk-in closet, and spacious bath. The master bath has a double vanity, soaking tub, and separate walk-in shower with built-in bench and rain shower head. Large storage shed with deck and fire pit in back yard. 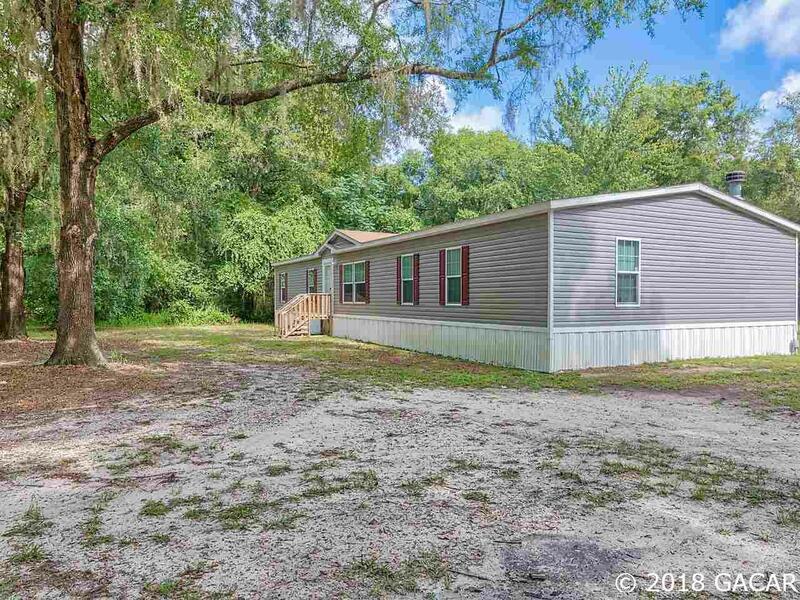 Low utility bills with Florida Power, well, and septic. Well pump replaced in 2017. Septic drained in 2016. 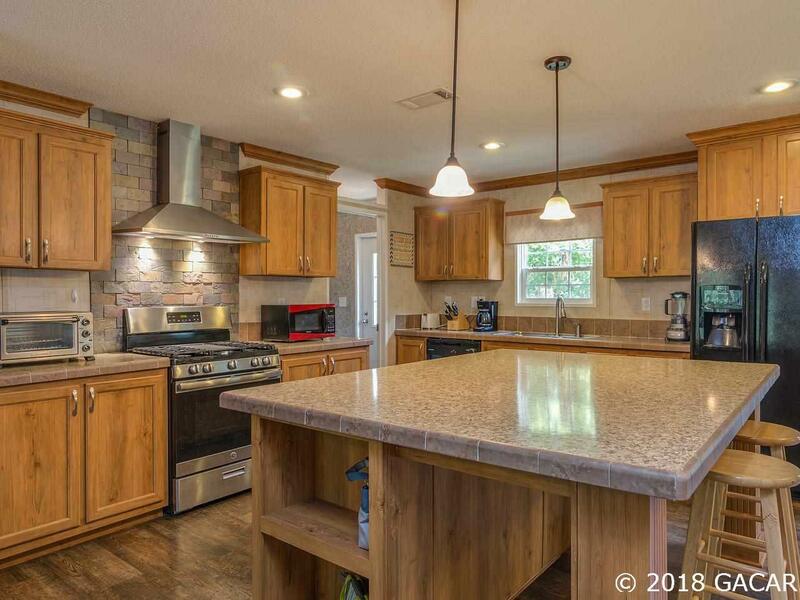 Come live the good life in this fantastic home today!